Six years ago I started a journey. It began when I bought my first pair of real running shoes and said, "Maybe I am a runner after all" (See How I Became a Runner). It's a journey that has been full of twists and turns, victories and injuries, accomplishments and failures. It has been been a labor of love and a path to self discovery. But what I have discovered has not come to me through running alone. There have been other factors; other contributors and influencers that impacted me rather unexpectedly. I was not really aware that these things were at work until recently, when I realized that my whole perspective on running has changed. Allow me to backtrack a little. It didn't take long after I began running for me to discover that I loved to run on trails while I only tolerated it on roads. Road running was monotonous and painful. The miles stretched ahead with little variety but the woods, they called to me. Trail running was and continues to be an adventure full of variety and challenge. Every step was different. The scenery was both peaceful and exhilarating and I couldn't get enough of it. I built up my milage and ran a marathon, then a 50K, then another. 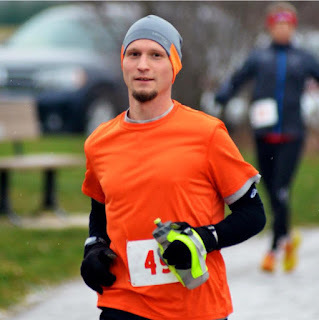 I got injured and 6 weeks after I could run again, I ran another 50K. The following year I ran in two 50 mile races. I loved everything about trail running and ultra marathoning. I loved the process. I loved the time in the woods. I loved exploring new trails. And then my kids reached an age where I could take them all camping. This was an activity that I enjoyed as a child and I wanted to share it with my own children. We started making it a point to camp at least once a month in the summer. Chanda did not share my fondness for camping but she supported the kids and my adventures nonetheless, often coming out to visit us, and occasionally staying the night. While I loved taking the kids camping, the twins were only 2 and the work of setting up camp for eight, while trying to keep seven children entertained, was exhausting. As camping took up more of my time, I allowed my training slide. Last summer, while training for the Run With Scissors Double Marathon (RWS), I often found myself viewing one short run and one long run per week as acceptable training. I was running the heaviest I had been in years and, to no surprise, I got seriously injured a month before the race. Two stress fractures in my left leg: The doctors recommended I take a 3 month break from running to let myself recover and then ease into running slowly. I agreed, and immediately contacted the race director and volunteered to help mark the course. I might not get to run the race but I wasn't going to let that keep me off the course. In the months that followed, I started preparing for a new adventure: an early spring backpacking trip (See 10 Things I Learned on my First Backpacking Trip). Preparations included online research, the acquisition of gear, and hiking. Lots and lots of hiking. I told myself that this would be good cross training and that I would be a better runner because of it. I took the kids on many of my hikes and found myself pulling facts and theories that I had learned from recent biology, geology, and natural disasters classes, my favorite of the general education courses I've been plugging away at as I work toward a psychology degree. I missed running, but not as badly as I had anticipated. I looked at backpacking as a nice distraction from the hole that injury and the break from running had left in my life. But to my surprise, when I returned home from backpacking, all i wanted was to do it again. I loved everything about it. I loved the slower pace. I loved the beauty. I loved the quiet. I loved the physical challenge of carrying everything you need to survive for 10, 15, even 20 miles in a day. I had a fall trip on the calendar within a week. 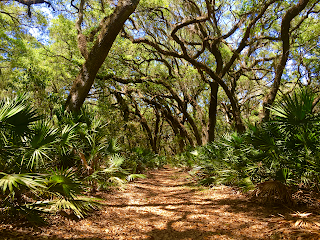 Then Chanda and I planned an anniversary trip backpacking Cumberland Island, GA. When I wasn't planning a trip into the woods, I was reading about them. I finished Henry David Thoreau's Walden, which I had started in the fall and moved on to devouring the writings of John Muir as fast as I could. Slowly and steadily, my running mileage was increasing and I found myself looking forward to each run with great anticipation. Last week, I sat down at my computer and began working out a training plan for a second shot at RWS. Intertwined into my training are several camping trips and several backpacking trips. I considered the physical demands and the benefits of each as I planned out my mileage and was able to create a training plan that should have me going into this race stronger and more fit than ever. Then, this past Monday, as I was running through the woods, marveling at the beauty that surrounded me I was struck by a thought: I don't love running nearly as much I thought I did. I was confused. I misunderstood my feelings. Like a person has confused their love for someone with their love for that persons family, I had misunderstood my love for running. In fact, it isn't running that I love at all. I don't love running just anywhere. I don't love running roads, I dread running on a track, and I despise running on the treadmill. If I truly loved running, shouldn't I feel differently? 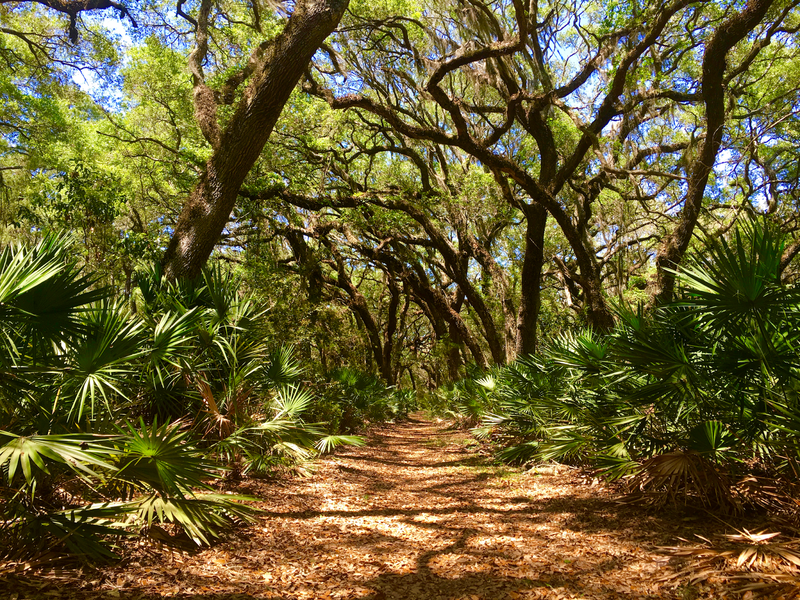 I continued my run, rounding a corner into a patch of pine forest and took a deep breath. The smell of decomposing needles filled my nose like a strong perfume. I heard the distinct thumping of a large Pileated Woodpecker drilling holes in a nearby tree, and like a veil had been lifted from my minds eye, I was able to see clearly. It had not been running that I loved. Nor was it camping or backpacking that I adored. These are merely tools. My love affair was not with any activity in particular. What I realized was that my love affair was with the wild itself and I would use any method available to me to get close to her. This realization has not had any negative impact on my desire to run in the woods. If anything, it has been strengthened by a clarity of purpose that I previously lacked. I have often said that fitness goals should be determined by what you love to do not by how you want to look. I understand what I love now more than ever. I love to experience the wild; to watch the changing of the woods follow the changing of the seasons; to experience the infinite biological variety and processes in different ecosystems; to stand in awe of the seeming permanence of geological structures; to stair into a night sky, unpolluted by city lights, and try to wrap my mind around the vastness of cosmological time and distance; and to wonder at the handiwork of a God who simultaneously works in the infinite and the microscopic. That is what propels me forward as I train for my next race. It's what compels me to drag my kids away from tv and computer screens and into the woods. It's what leads me away from the comfort of my bed and my home, to wander through the forest with my shelter and food strapped to my back for days at a time. I've rounded a corner on this journey. I have a greater understanding of where it is that I'm headed. And the best part is: I have much further to go!